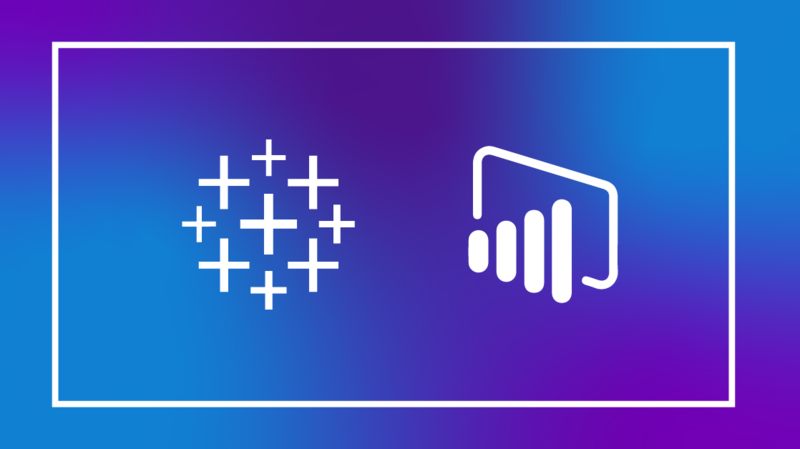 Blog home / Everything CBTN / Where to Start: Tableau or Power BI? In the last couple of decades, companies have collected an unfathomable amount of data. For a while, it was all about big data, but that mindset has changed recently. Not to say that firms aren’t still hoarding data. They are. But the thinking has gone from big to small. Today, it’s not about the most data, but the best data — and that’s subjective. Thankfully, that’s where business analysts come into the picture. It’s their job to wade into data (big and small) and make sense of it — and their go-to tools are Tableau and Power BI. If you’re just getting into data analysis, then you’re in a desirable position. If you’re starting fresh with either Power BI and Tableau, then you have a lot to consider. They’re both powerful tools with relatively light learning curves. Why Tableau or Power BI? In the past, we’ve covered the Python libraries that visualize, process, and manage data. Increasingly, however, business analysts are turning to data products for those functions. There are many data analysis products out there, but Tableau and Power BI are the two most popular tools among analysts. Despite a seven-year head start in the data analysis market, Tableau slightly edges out Power BI in market share. Functionally, the two products operate generally the same, but they differ in important ways. Tableau is a popular data analysis and visualization tool. Among the top products, Tableau has been around the longest — nearly 15 years, now. It’s an essential tool for data analysts. Tableau has a lot of polished features that make it feel like a high-quality product. It easily handles forecasting, clustering, live querying, and cross-data source filtering. But, that’s not all that that makes it stand out. There are a few other places where Tableau shines. Data visualization. Tableau is probably best known among data professionals and laypeople alike for making data beautiful. CBT Nuggets trainer Knox Hutchinson highlights a few of his favorite data vizzes in his Tableau Essentials training, including this Pokemon dashboard. User experience. Tableau really shows its maturity with little touches, like one-click weighted averages, baselines, and moving averages. Like most well-designed products, everything you need is at your fingertips. Extensive data source support. Out of the box, Tableau has a built-in connector for just about every data source you’ll commonly run across — and it’s great at running them all. The only limitation for data connections for Tableau is performance. You see this statement a lot in the Tableau documentation. Basically, Tableau says their infrastructure can handle it. Can your machine? You can think about Tableau as the fine-tuned sports car of the BI product. There’s nothing keeping you from making it your daily driver, but it might be a little much for running errands. While it might seem counterintuitive to start with the more robust software, it saves you the trouble of finding its limitations — and then upgrading. If you anticipate making business or data analytics your career, skip Power BI and go straight for Tableau. It’s expensive. But it’s also worth every penny if you’re using it to its fullest extent. If you are looking to generate a few reports here and there, you might want to consider Power BI. Power BI is Microsoft’s answer to Tableau, and it’s a very good alternative. Power BI came crashing into the data analysis world a few years ago, but it already has a big following. Power BI may have been a little behind Tableau when it first launched, but things have certainly changed. While it doesn’t have the fine-grain controls that make Tableau a pleasure to use, Power BI can basically do everything that Tableau does. In the last year, Microsoft even made some serious gains with data visualization. It’s come a long way from that first version of PowerPivot. Integration with Office 365 and Azure. As with any Microsoft product, the big selling point is self-referential — it’s a Microsoft product. That means it plays nice with the other products. It’s particularly nice that Power BI works well with Excel. It’s free. Tableau is a premium experience for a premium price. Power BI is a very good experience at a more affordable price. It’s the Microsoft way. You can go download Power BI Desktop for free right now. If you want to upgrade to Power BI Pro, then it’s $9.99 per user per month. Certification paths. Most Microsoft products or services have certification paths. Power BI is no different. As a business analyst, it’s nice to have something concrete on your resume that validates your knowledge. For Power BI, that’s the MCSA: Business Intelligence certification. Why start with Power BI? If you’re dabbling in data analysis for the first time (as a PC user), Power BI should be your first analysis software. The price tag and functionality of Power BI is compelling for an aspiring data analyst. If Tableau is the sports car, then Power BI is the minivan. It’s dependable, safe, and versatile. Anyone can sit down with Power BI and start generating reports and dashboards. There’s no winner in this comparison. There’s no loser. The solution that works for you is going to be the one that does what you need it to do and fits in your budget. If you have the budget to pay for Tableau, then we highly recommend it. It is a refined product that works really well for creating high-performance dashboards and reports. If you have more modest goals in mind, then Power BI will serve you well.